Nowadays are phone is used for so many different purposes. One of the most practical things about them is the option for us to search for the nearest restaurants, banks, gas stations, book a hotel or find a movie schedule nearby without spending hours looking for information. How to do that? With the right app on your phones, you can discover local places and get directions with all the details you need. We did our research and we have an amazing navigation app for this purpose. Let’s discuss it. Developed for both Android and iOS users, this location app allows users easily and quickly, directly on their phones to discover local places like businesses, services and service providers in their area based on their current GPS location without much effort. Users will be able to find places and get detailed directions to those places anytime they want. 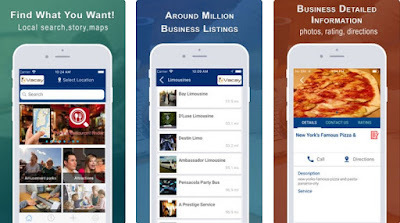 Easy to use and efficient, the app allows users to look for hotels, restaurants, resorts, rentals, taxi services and much more whenever they want. What are the best features of Vacay – Places NearBy Me? The Vacay – Places NearBy Me and the features offered on it allows users to easily and quickly discover local places based on their current GPS location, instantly on their phones. The users are getting detailed directions for the places they looked for and each place they search for the app registers and memorizes it. Route finder is available on the app as well which is helping users to find the distance between two locations. Popular choices of restaurants, hotels, resorts, repair services, car rentals, taxi services and more can be searched for on the app and also the users can discover food near, by finding restaurants locally. The hottest and newest hotels can be found on the app fast and the user can also search for every local business, service and professional he needs. The user is also able to search for highly-rated spas, salons and massage therapists in his area. 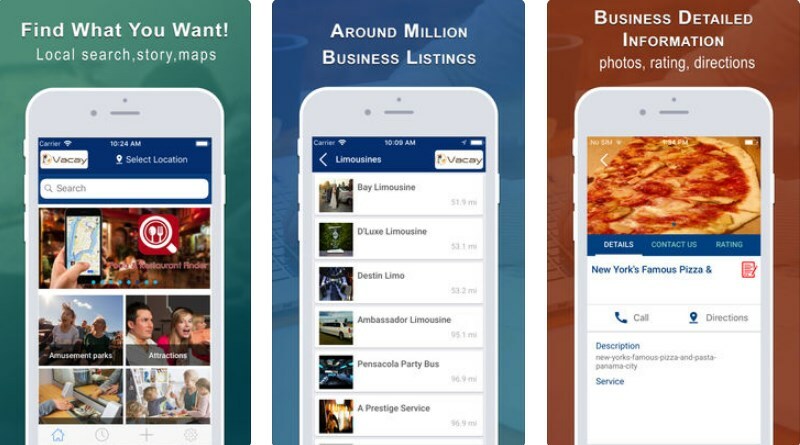 Users can add their own business listing on the app and if they want they can find detailed business information on the places they searched for with their phone number, address, and ratings. Download the app for free on Google Play and App Store to search for local business and services in your area!